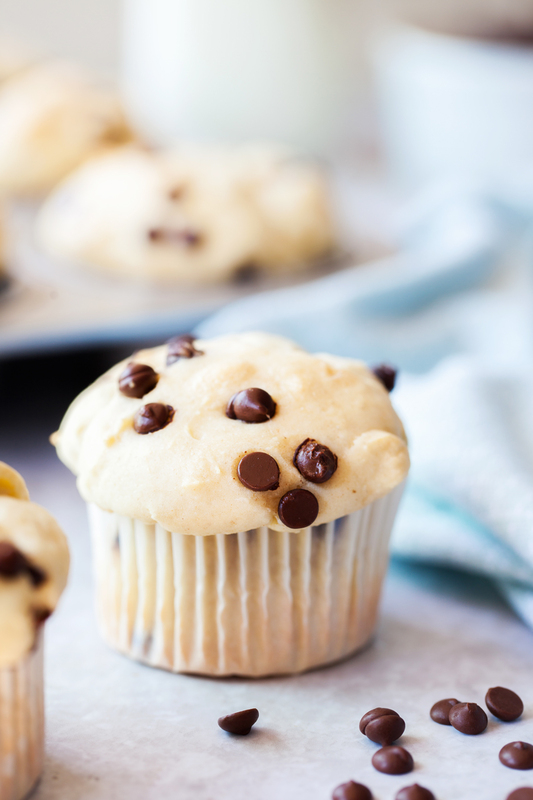 These Chocolate Chip muffins are soft, chocolatey and delicious! They are perfect as a breakfast muffin served with a glass of milk and some scrambled eggs. These chocolate muffins are one of my family’s favorite muffins as of late. 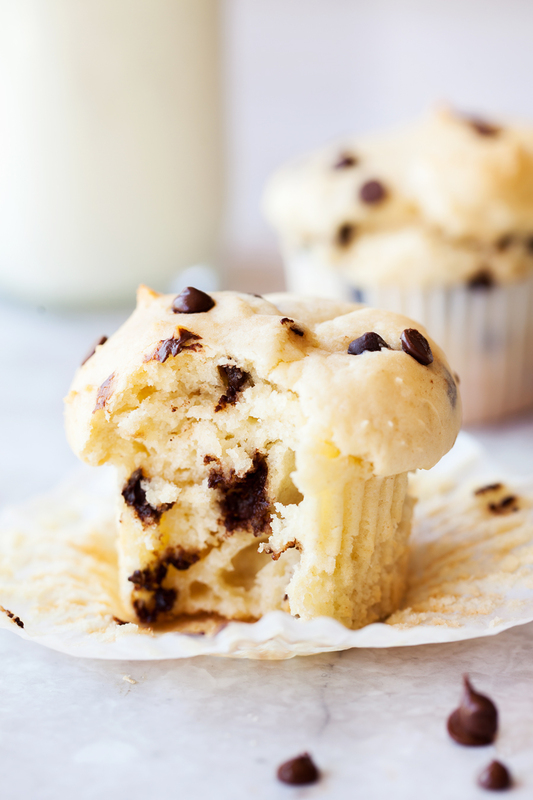 The batter is soft and the mini chocolate chips makes for the perfect amount of chocolate in each muffin. These chocolate muffins are one of my family’s favorite muffins as of late. 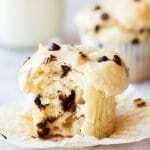 The batter is soft and the mini chocolate chips makes for the perfect amount of chocolate in each muffin. To make these muffins a bit fancy and more like a bakery muffin we added just a tad of nutmeg. The nutmeg really adds a fun pop of flavor that blends perfectly with the chocolate chips. If you aren’t a fan of nutmeg just leave it out and these will be just as good. 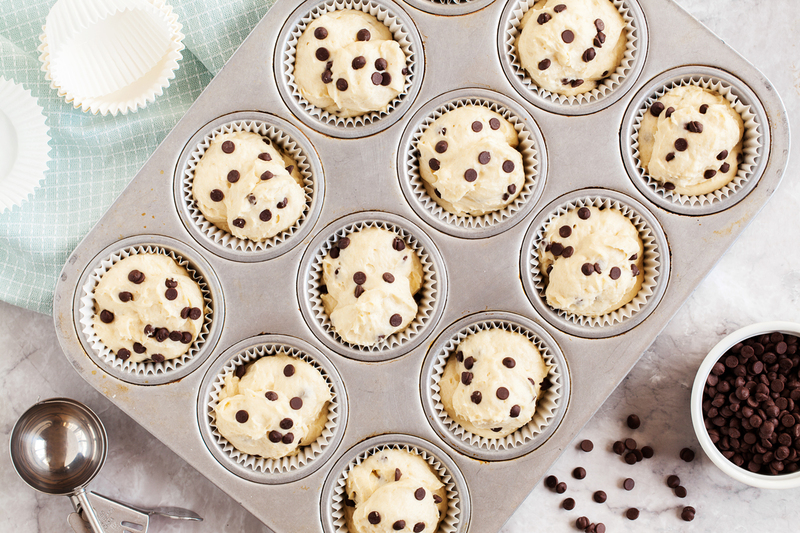 Line a standard-size muffin tin with paper liners or spray with non-stick cooking spray. In a small bowl, add the milk and tablespoon of vinegar and set aside for 5 minutes. In a medium bowl, whisk together the flour, ½ cup of the sugar, baking powder, nutmeg, cinnamon and salt; set aside. In a large bowl, whisk together the oil and the egg. Add the milk and vanilla extract and whisk to combine. Add flour to wet ingredients and mix until combined being careful not to overmix. A few lumps are okay. 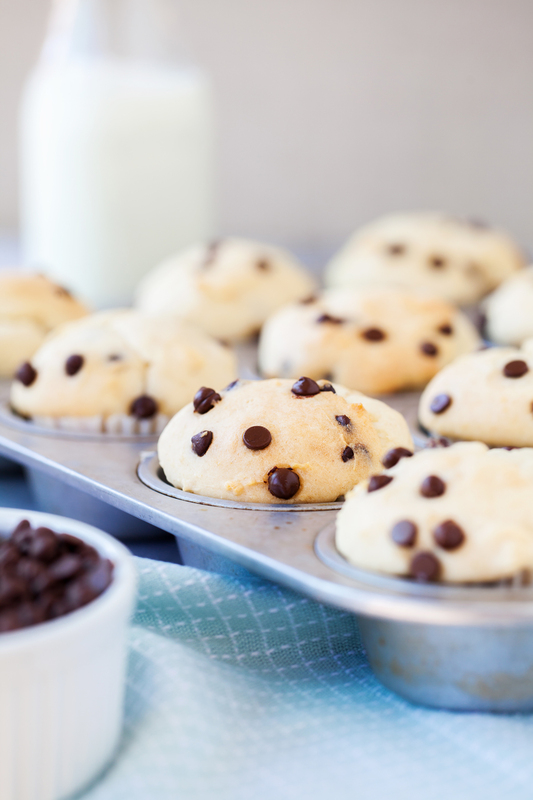 Divide the batter evenly between the muffin cups and sprinkle the tops with sugar. Bake until golden brown and a thin knife inserted into the center comes out clean, 15 to 20 minutes.